My kids won’t sit still for a photo. My photos always turn out dark or blurry. My child is changing daily, I want to capture it ALL! It’s true what they say before you have kids, the days are long, but the years are short. 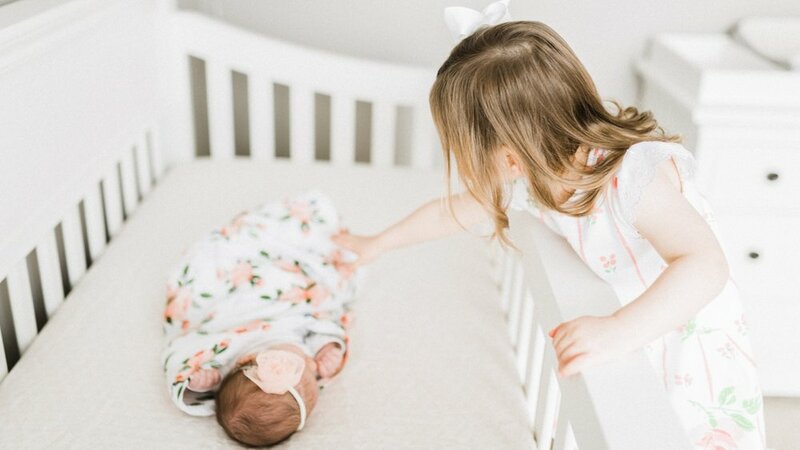 Your child is changing every day, but let’s be real, it’s not realistic to have a professional photographer on standby for the little changes you witness daily! You are in charge of photographing your child’s milestones, such as baby’s first bath, the first time they try solid foods, and the day they learn to tie their shoes. All of these simple, everyday moments are precious and are worth capturing. The Daily Momtographer Course will empower you to feel more confident taking photos with your camera (whether you use your phone or own a DSLR camera), master the light in any environment you’re given, and will challenge you to think of photographing your children from a completely different perspective than you might have ever thought to before. family portraits on your own. So What Does This Course Really Cover? You will learn tons of new tips and tricks for taking better photos with your cell phone. If you’re a DSLR owner, there’s a video that specifically teaches you how to shoot in manual mode. Plus, I’ll give you all my tips for buying a new camera lens that will really bring your photos to the next level. This might arguably be the most important lesson of all. All great photos have one thing in common – great light. I’m teaching you how to master light in any situation you’re given. This is when we shift the focus to you and your everyday life. By the end of this lesson you’ll have a new “go-to” spot in your home picked out for photos of your kids. Getting your kids to sit and pose for a photo is hard, right? In this lesson we break down how to have a more realistic approach to everyday photography with tangible tips and fun prompts. This lesson will change the way you look at photographing your kids and will challenge you to think from an entirely new perspective that you might have never considered before. I’m giving away all of my secrets here! This lesson will teach you how to elevate the photos taken with your phone. If you’re a DSLR user, I’m bringing you behind the curtain and giving you a FULL editing tutorial on how I process and edit my photographs using the program Lightroom. This is where everything comes together! I’ll give you guidance on what makes an awesome family portrait, including tips on wardrobe, posing, location and how to use that self-timer on your phone or camera so you can take a high-quality family portrait on your own! a Private Community Facebook group. Just what I need, I'm ready to commit! Who is The Daily Momtographer Course For? The Everyday Mom – Your phone is your primary camera and is filled with photos of your kids. You want to capture it all, but most of your photos are blurry, the lighting is poor, and you have far more outtakes than frame-worthy moments. The New DSLR Owner – You received a DSLR camera when your kids were born, but you have no idea how to use it. Auto mode isn’t giving you quality images and you’re overwhelmed at the thought of shooting in manual mode. The Creative Mom –You have a basic grasp on shooting with your phone and DSLR camera, but your images don’t quite look how you want them to. You have the knowledge to take high-quality photos on your own but want to learn to bring your images to life through editing, posing and composition. It’s meant to fit your busy life! Ok, now I really need this!